In this class, we teach the basic movements, concepts, goals and techniques of Brazilian Jiu Jitsu. Focused on self-defense, building confidence and developing technical knowledge, these classes include a brief warm up, technical instruction and other drills designed to help students internalize the body mechanics behind the martial art. There is no sparring in this class, as we help students build their confidence in a comfortable atmosphere as they begin their journey into Brazilian Jiu Jitsu. Building on the Intro to Brazilian Jiu Jitsu class, we continue with instruction in the theory, principles and goals of Brazilian Jiu Jitsu, in addition to introducing other aspects of the sport, such as sparring and positional drilling. Designed for all levels of skill and fitness, the Fundamentals of Jiu Jitsu class helps students explore the the core concepts and positions of the martial art. For advanced students, this class includes sparring sessions and instruction in modern, competition-proven Jiu Jitsu. At True Believer Jiu Jitsu, we aim to stay current with the newest techniques in all aspects of grappling. Fast-paced and technical, our No Gi Grappling classes take place multiple times every week to train without the traditional kimono. 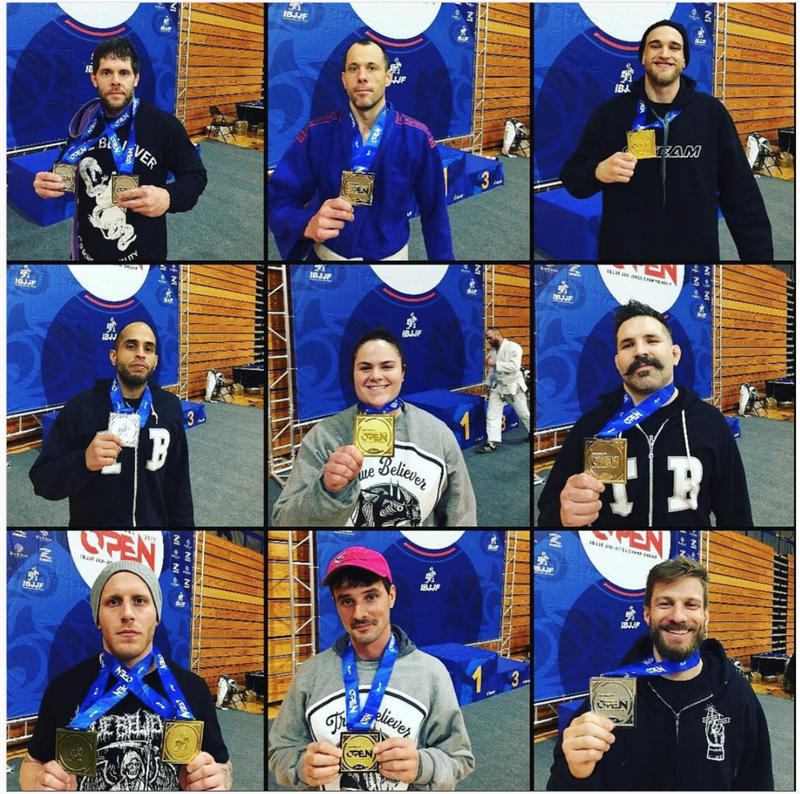 With a heavy emphasis on wrestling and an assimilation of modern submission techniques, our No Gi Grappling classes offer a different challenge for students of all skill levels. The Women’s Only Jiu Jitsu class epitomizes the culture at True Believer Jiu Jitsu, where we provide a welcoming and inclusive environment for women to explore the fundamentals of Brazilian Jiu Jitsu. Starting with basic movement and and concepts of self-defense, this class then progresses into more advanced concepts of the the martial art. True Believer Jiu JItsu also features a Women's competition team. Our competition classes on Wednesday evenings are the heart of True Believer Jiu Jitsu. The first of the two classes is Intro to Competition, which encourages students to push themselves and find their path into competitive Jiu Jitsu. Designed for white and blue belts, this class class covers basic strategy and competition-proven techniques in common competitive situations. Followed by our Intro to Competition class, the All-Levels Competition class brings together all aspects of our training throughout the week in order to prepare as a team for upcoming challenges. During this training session, we cover advanced techniques and cover scenarios common to competition, in addition to sparring at an intensity that mirrors a tournament setting. The All-Levels Competition class is our most intense training of the week, but it remains open and scaled to students of all levels. Come train with champions!